Did you know you can use applesauce as a substitute for part of the oil or butter when baking? I make a lot of my own applesauce, I try to get apples from people who don’t pick them from their trees etc. and even buy them when I have no choice. Later I process and cook them into applesauce together with their skins. Then I use it for so many things that I wonder how did I ever live without it. The biggest discovery for me though is how it can be used instead of fat in cakes. I substitute most of the fat without compromising the taste and adding vitamins and dietary fibre instead! Isn’t that just the ultimate hack? And here’s the first recipe with applesauce I am publishing. You can, however use canola oil instead and the muffins will still be delicious. Blend all of the ingredients except blueberries in a bowl. Do not overmix it so the muffins won’t be hard. Once blended, pour ⅓ of the mixture into another bowl and blend with the blueberries. 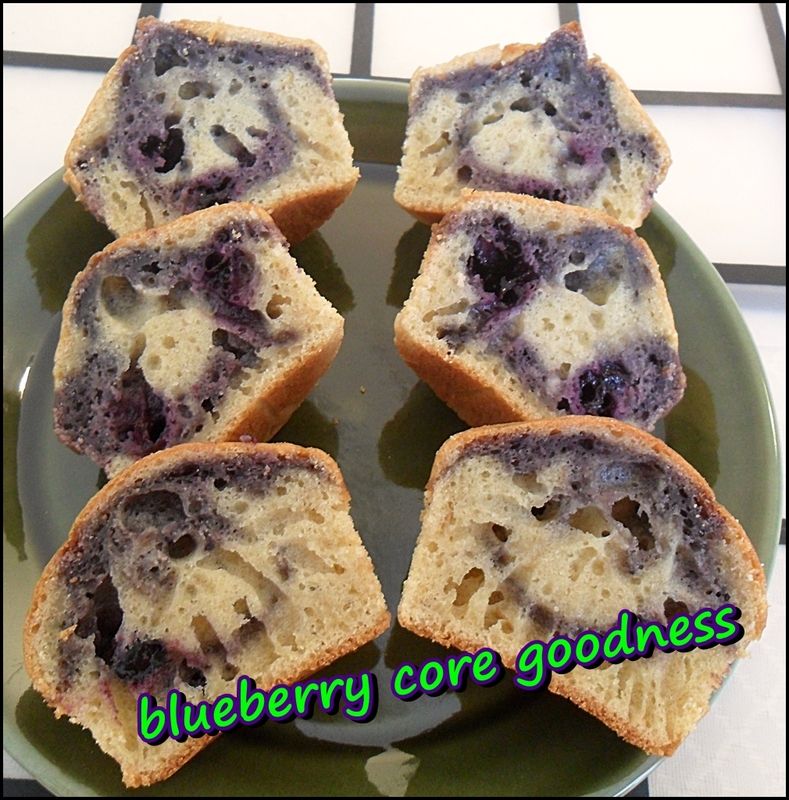 Line a 12 hole muffin tin with paper cases and to each one of them pour a tablespoon of the white dough, then a tablespoon of the blueberry dough and top with the rest of the white mixture. Enjoy! 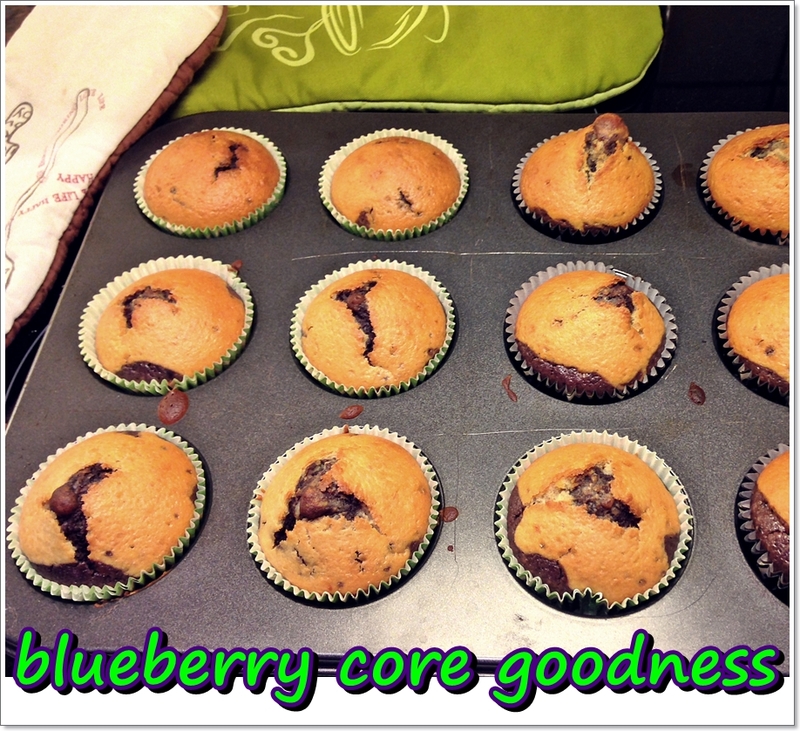 They are truly delicious, nice and moist inside. They disappear quickly though.